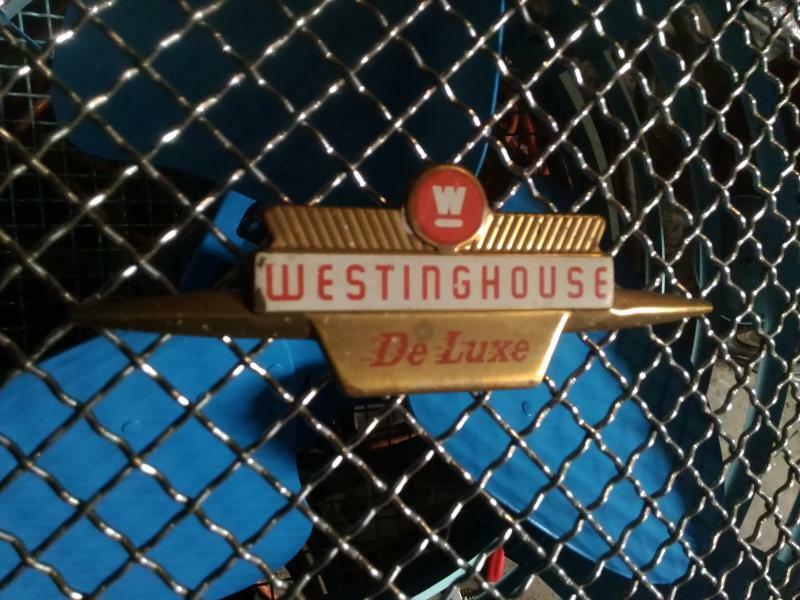 AFCA Forums > Antique Fan Collectors Association > Post-1950 (Vintage) > Need an ID for this Westinghouse...what model is this anyway? This is/was a restoration project but pieces are missing and I can't find model info anywhere...it's worth bringing back but need help on an ID first...any thoughts? Ok...finally...the De Luxe on the front tag should have been a give-away but I thought it was a generic term...Deluxe. Now I'm guessing it's a Mobilaire (sp?) of sorts and it is missing the rest of it's stand. Question is, as I try to rebuild it...is just what exactly goes into the screw hole below the pivot point on this rascal? Maybe a screw with a bushing? Ideas welcome...oye! That should be a Riviera. I have a couple of the smallest (8") versions of that- great fans. Very similar to the MobilAire, but without the stand. Ok...do yours have a similar mounting arrangement where the body meets the stand...sort of a round tab that fits into a cup sort of thing on the stand...and has a small hole for the bits that are missing on mine, they must be some sort of bolt w/a bushing to keep the 2 pieces together...like in the photos? For comparison, can you provide a badge/tag photo such as this? Here ya go...from what I have seen I can only guess that it is part of a Mobilaire, what is missing is the "dolly" stand. I have not seen any model info anywhere and it does not look like any Riviera on google images or ebay for what that's worth. I've got enough parts to rebuild it...minus the dolly stand...but I'm missing the part that secures the round body to the chrome legs...I can make something work, but it would never be right...oye! Mine is identical in how the base mounts. That's all there is- it's just a little floor/table fan. It never had a stand. I think you're thinking of the clamp and screw that put tension on the shaft so it doesn't roll over when you turn it on. I have to go check it out and get you a good picture- I gave one of the fans to my in-laws for the summer and the other is in my shop at work. Either way, you have a Riviera with the wire guard instead of the finned plastic one that most had (both were options) and despite missing a little hardware, is pretty complete. Looks like the hexagonal motor hiding behind the blade, making it about mid-50s or so. Thanks Greg, I was not able to find a Riviera anywhere on the interwebs with this grill but I'll defer to your expertise...and what you describe as the clamp and screw sounds right. I'm wondering if one can be fabricated easily or maybe it's a matter of finding a parts fan...right now it needs the switch rewired to a decent power cord and some trimming of the head-wire to find intact insulation, then some oil and good luck I guess. If you or anybody else out there could get me a pic of the parts I need, or a drawing or a solid description of the screw and clamp that would sure be awesome. Thank You Sir! 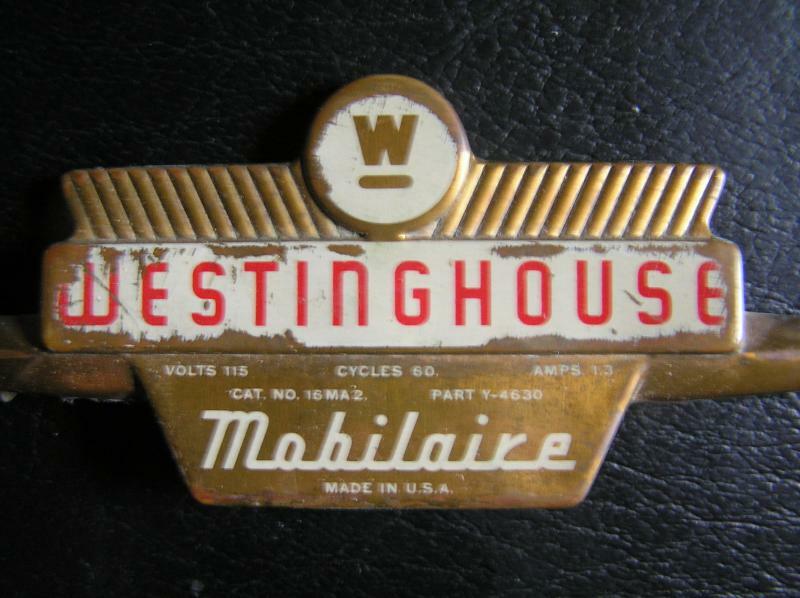 YOU HAVE A LATER 50S DELUXE TILTABLE MOBILAIRE. THE STAND IS MISSING. THERE WERE ALSO RIVIERAS WITH THAT GRILLE, BUT MANY MORE HAVE THE JET THRUST GRILLE..... THE STAND WILL BE HARD TO FIND, GOOD LUCK! Page processed in 0.2270 seconds (37% database + 63% PHP). 28 queries executed.